Founder of the field of Somatics. Thomas Hanna, Ph.D., was a philosopher and somatic educator, who founded the field of somatics in 1970 with the book Bodies in Revolt: A Primer in Somatic Thinking . He received his doctorate from the University of Chicago for his dissertation on existential phenomenology, later published as The Lyrical Existentialists. Hanna taught at Hollins College, where he became Chairman of the Department of Philosophy. He was also writer-in-residence at Duke University and the University of North Carolina in their Cooperative Program in the Humanities. From 1965 to 1973, Hanna was Chairman of the Department of Philosophy at the University of Florida, where he had been hired to create the department’s first doctoral program in philosophy. Hanna was elected a Fellow in the American Council of Learned Societies, which in 1969-1979 subsidized his writing of Bodies in Revolt: A Primer in Somatic Thinking . In 1971, he was elected the first President of the newly created Faculty Senate of the University of Florida. Hanna came to San Francisco in 1973 to become Director of a noted graduate school, the Humanistic Psychology Institute. During this time, he founded and directed the first training program in Functional Integration, taught by Dr. Moshe Feldenkrais from 1975 to 1977. Hanna dedicated his time to the growth of the field of Somatics, both as an academic and a researcher and practitioner. His research ultimately lead him to the develop the groundbreaking methods of Clinical Somatic Education, the culmination of the practical application of the academic field of Somatics. In his practice of somatic education, he saw clients from all over the world. He was the author of eight books, including Somatics , which has been published in English, French, German, Russian, Hungarian, and Spanish. 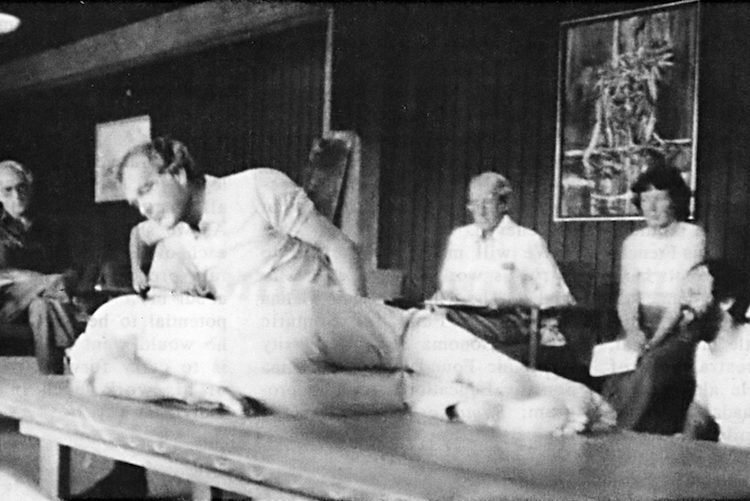 Although Dr. Hanna passed away in 1990, his teachings and techniques live on at the Somatic Systems Institute’s training program. Click here for more information about Clinical Somatic Education.